I am a sucker for peanut butter. And chocolate. And sweets in general. This could be bad-news bears for my waistline. Not to mention I have recently started working these buns off in a big and serious way so I can't justify going to DQ for a "light snack" every time I have a sweet tooth. 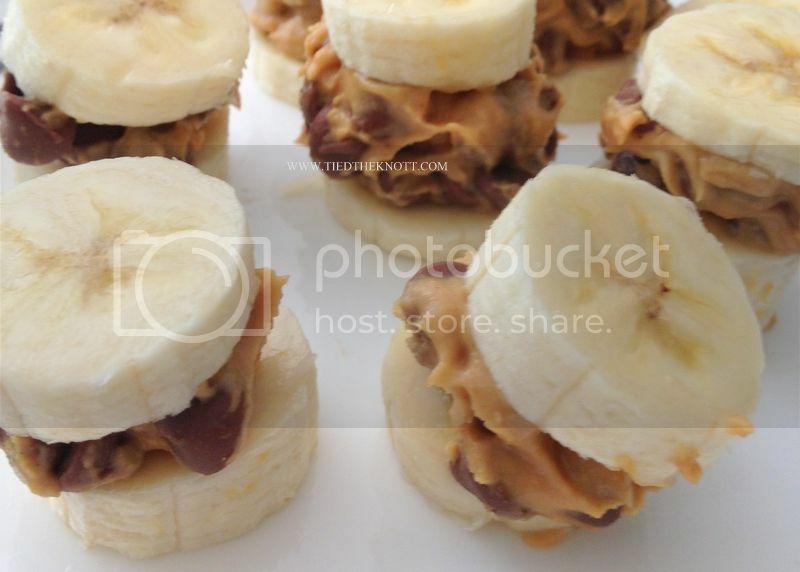 Mix the PB2 and chips together. 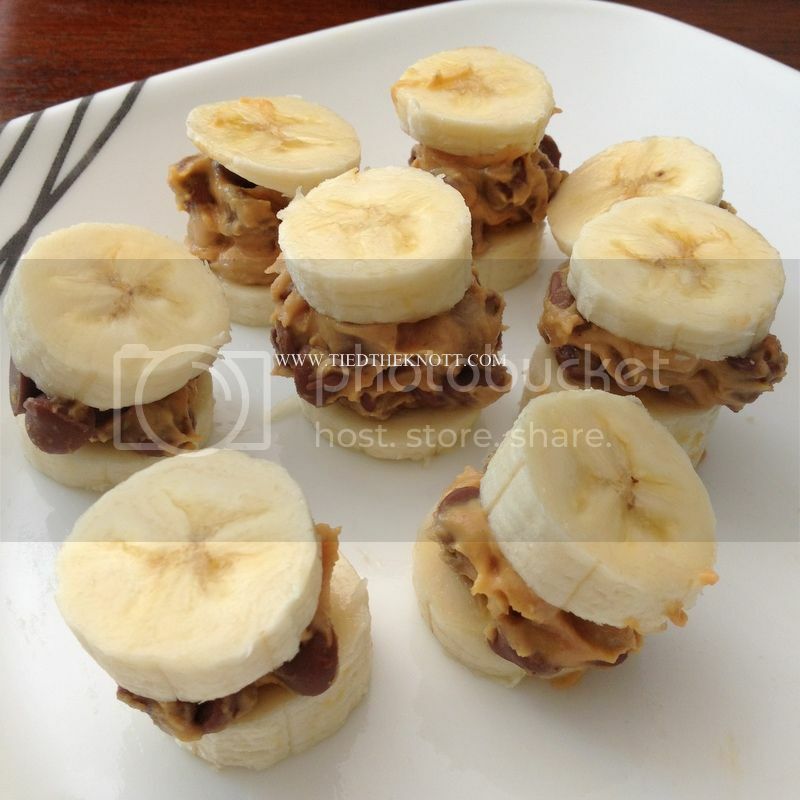 Slice the banana into 1/2" pieces and create a sandwich with the PB2 mixture. Refrigerate till cold (my preference) or eat room-temp. Delicious either way. If you'd like to add a few calories, but increase the YUM-factor, dip in semi-sweet chocolate and refrigerate till cool. YUM!!! This sounds DELICIOUS! I have an intense sweet tooth so I'm always looking for healthier ways to satisfy that.